It will nearly be time for farmer’s markets and fresh produce in abundance! Buying locally grown is ideal, to reduce the likelihood of pesticides, and preservatives needed for a long transport to stores. When you have a fresh haul of u-pick berries, a bushel of apples or pounds of garden-fresh green beans, what’s the best way to clean your fresh produce? The most cost-effective and convenient method to clean fresh produce is straight out of the tap – using your own fresh tap water and nothing else. For many that’s perfectly fine, and when I’m in a rush, it’s what I do. But some may worry about chemicals and additives that are in fresh tap water, and if you’re trying to do what’s healthiest, you want to remove possible contaminants from your fresh produce … not add to them. 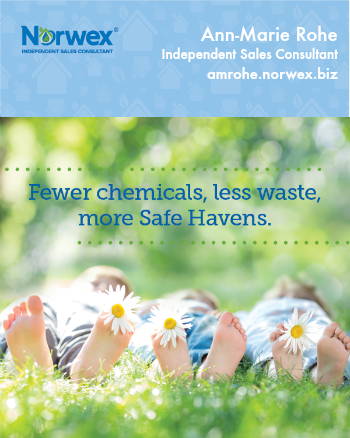 Distilled water may also be used, which is free from contaminants. I haven’t tried using vinegar on fresh produce, because quite frankly it seems like it would taint the sweet flavor of fruit. But many do! To wash fruits & veggies with vinegar, it’s recommended to use a high enough concentration to be effective, which is 3 parts water to 1 part vinegar. 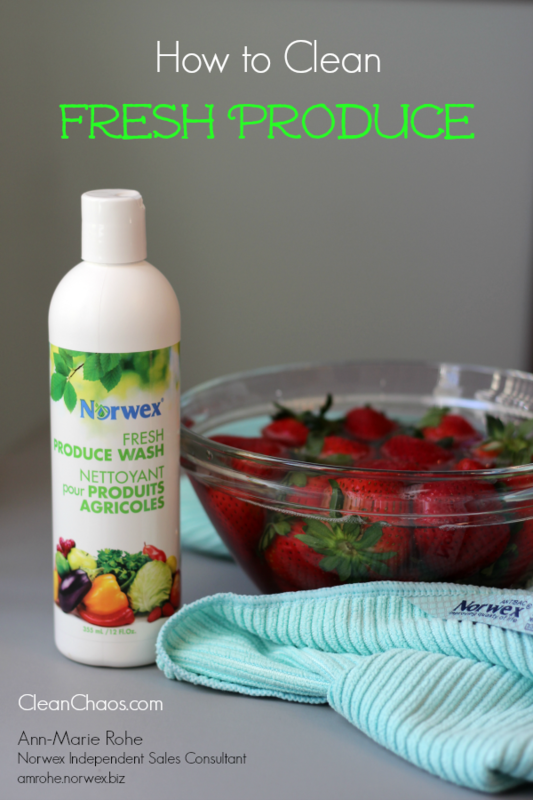 There are a few commercial fresh produce washes on the market, but the one that I use is by Norwex. 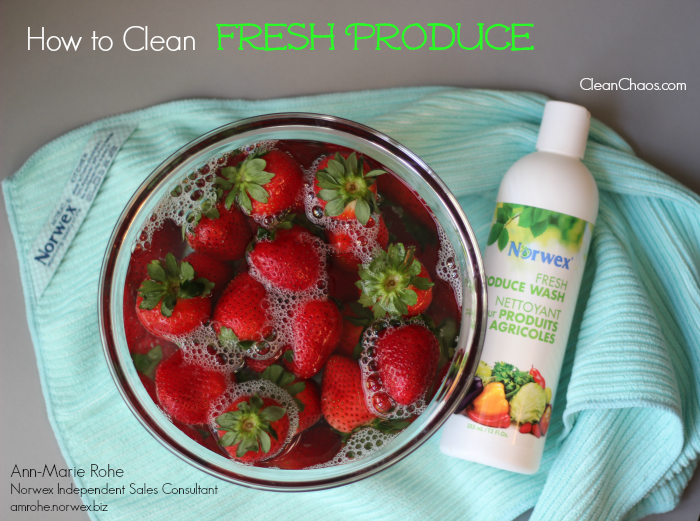 Norwex Fresh Produce Wash is a plant-based, biodegradable concentrate designed to remove chemical residue from fertilizers, wax, dirt, oil and bacteria. It’s free from phosphates, sulfates and parabens, and it extends the life of your produce while maintaining flavor and aroma. The cap has a push-button to squirt a little out at a time, or there’s a spray trigger that is included as well, if you prefer to spray on. When I washed one pound of strawberries (see photo), I put the berries into a bowl, nearly filled with water, then 2-3 squirts of Fresh Produce Wash and sloshed around with my fingers a bit. It only needs to sit in 1-2 minutes before rinsing. If you use the spray trigger, spray, wait 30 seconds and rinse. 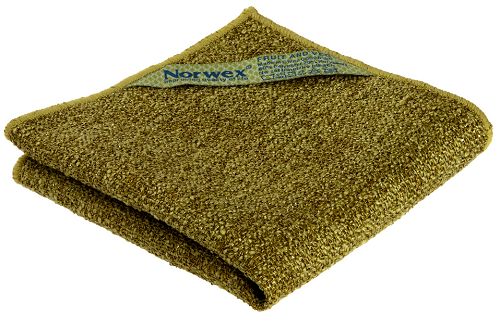 For larger produce, and especially vegetables fresh from the earth, the Norwex Veggie & Fruit Scrub Cloth does the trick to clean away dirt, debris and wax. The reversible cloth has a scrubby side to go to work cleaning potatoes and carrots, while the reverse soft side polishes apples, tomatoes and other more delicate produce. Use the Veggie & Fruit Scrub Cloth wet, wring and hang to dry. 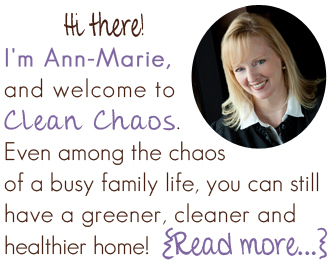 Now that your fresh produce is all clean, here are a few tricks & tips to use it up! Core, peel & slice a Pineapple in under 3 minutes!